Instant access to nearest store information, at any time of day. customer service staff were spending too much time redirecting calls and giving basic store information. In 2004, The Garden Centre Group awarded Eckoh the contract to develop a bespoke 'Garden Centre Locator' solution. Eckoh implemented EckohLOCATE, a speech recognition technology that first asks a caller for the country and then based on their reply, the caller receives information about their nearest garden centre including store name, address, opening hours, and have the option to connect directly to the Garden Centre. As part of a recent update to the service, the solution was rewritten to include STD area code identification. 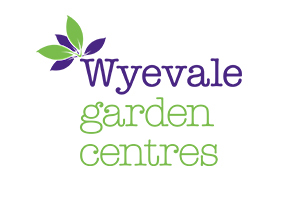 Customers calling from a landline are now able to find their nearest garden centre based on their area code. If customers call from a withheld or mobile number, they simply say the name of the town they are in and EckohLOCATE will find their nearest store or restaurant opening hours. Using EckohLOCATE, The Garden Centre Group has increased the scope of their customer service by providing 24/7 availability. Customers now have an easy to use and prompt service to locate their nearest store. Internally, it has helped to reduce costs and improve efficiency by routing calls correctly and enabling call centre teams to focus on more complex and in-store enquiries and transactions. Eckoh's more acurate speech recognition and updated statistical reports provides The Garden Centre Group with important customer behavioural analysis.